BETTE has created a new version of its award-winning BETTEFLOOR, the steel/enamel flush to floor shower area. 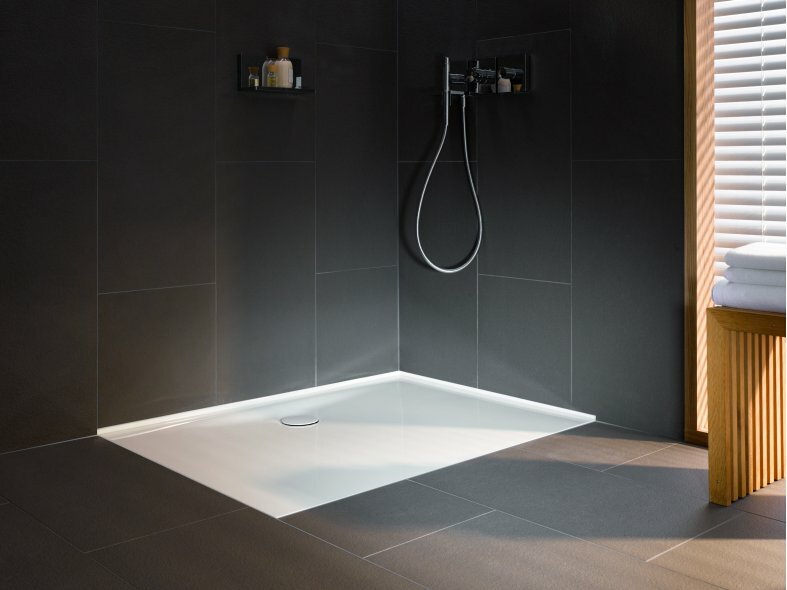 BETTEFLOOR SIDE has the outlet to the side of the shower area, rather than in the centre, for an even larger, uninterrupted standing area and more installation options. Like the original BETTEFLOOR, BETTEFLOOR SIDE is an enamelled steel shower area that is like one large tile which is permanently water-proof, easy to clean and hygienic. As a continuous surface, without the joints of a tiled area, BETTEFLOOR SIDE ensures perfect hygiene and ease of care. Bacteria and germs do not have a breeding ground on the inorganic, enamel surface. 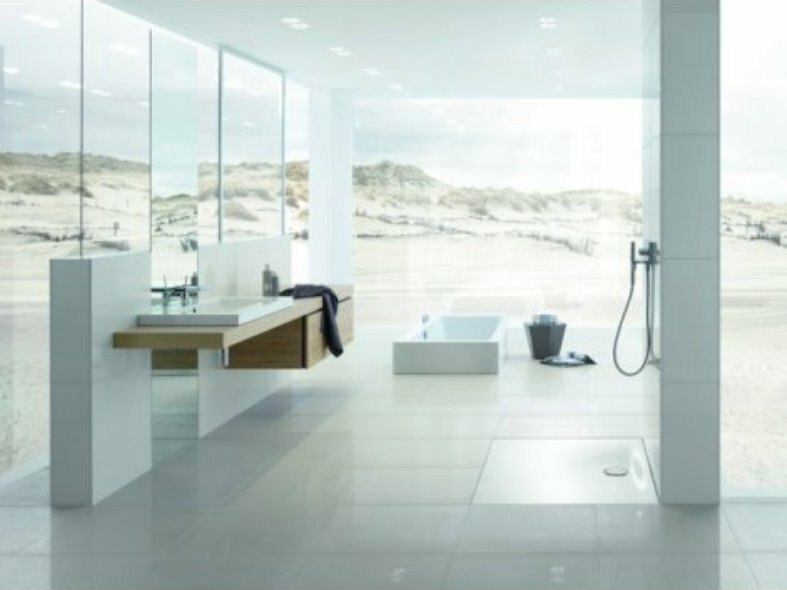 At the same time, dirt and residual soap can be washed away easily from the robust BETTEGLAZE® surface using water and mild bathroom detergents. BETTEFLOOR SIDE has an uninterrupted, gentle slope to the outlet and is available in 12 sizes, with square options from 90 x 90 cm to 120 x 120 cm and rectangular options form 100 x 80 cm to 150 x 100 cm and 160 x 90 cm. These 12 new options bring the total BETTEFLOOR range options to 60. BETTEFLOOR SIDE is flat and angular, just like a large tile, so fits perfectly into the overall tiling pattern. BETTEFLOOR SIDE and BETTEFLOOR are available in 22 matt colours and over 1,000 other sanitaryware colours, meaning they can be harmoniously integrated into the floor design. In addition to matt white and brilliant white there are five special worlds of colour, created to coordinate with popular floor choices. Using the BETTE FLUSH-TO-FLOOR INSTALLATION SYSTEM, BETTEFLOOR SIDE can be installed quickly and simply. It allows minimal installation heights of 65 mm and the continuous adjustment range of the system (from 65 – 180 mm) provides a great level of flexibility and means it is equally as suitable for refurbishments as it is for new builds. The BETTEGLAZE® surface has exceptional light reflecting qualities, is easy to clean, highly durable and has a 30 year craftsman warranty.